The underfloor heating1 surface mounted thermostat is used to prevent overheating of floor construction. 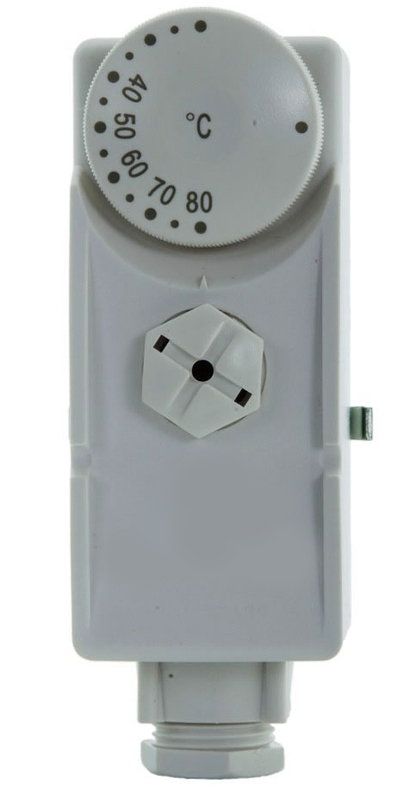 The underfloor heating surface mounted thermostat is used to prevent overheating of floor construction. It is fixed to the flow rail of the underfloor heating1 manifold and adjusted to interrupt the power to the pump providing effective high temperature safety control.